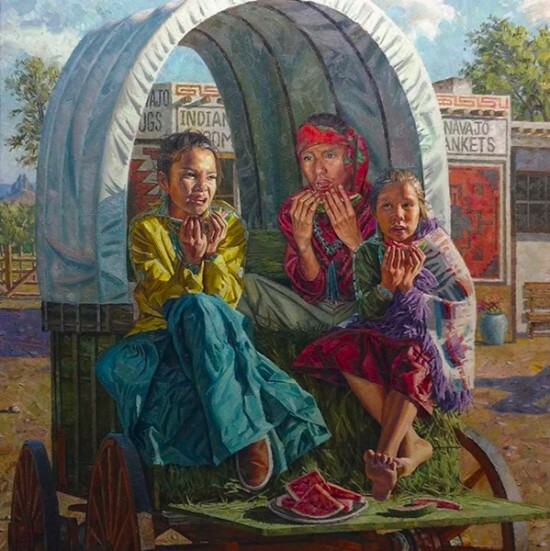 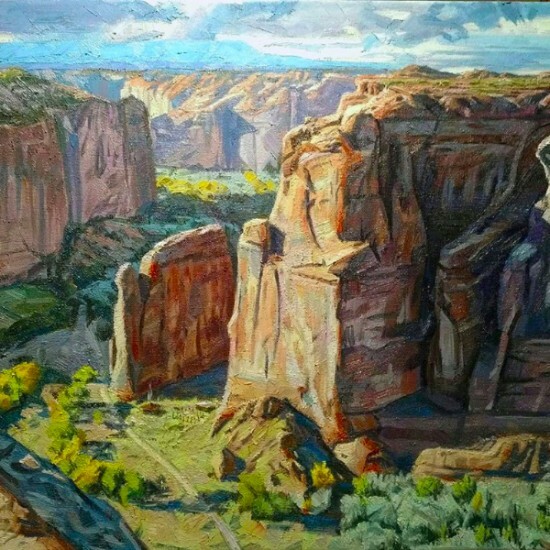 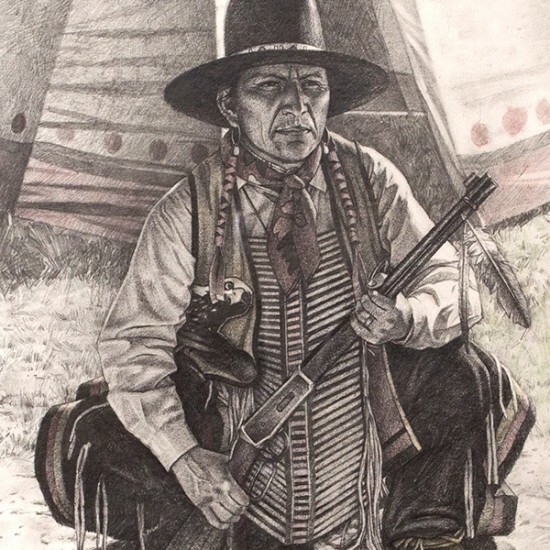 A dedicated chronicler of the daily life of the Navajo, Hyrum Joe evinces a keen eye and a deft hand as he lovingly depicts quotidian scenes that convey the quiet dignity and humanity of his people. 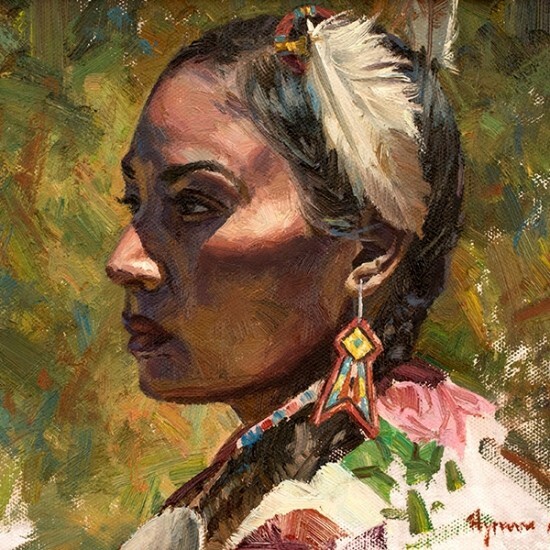 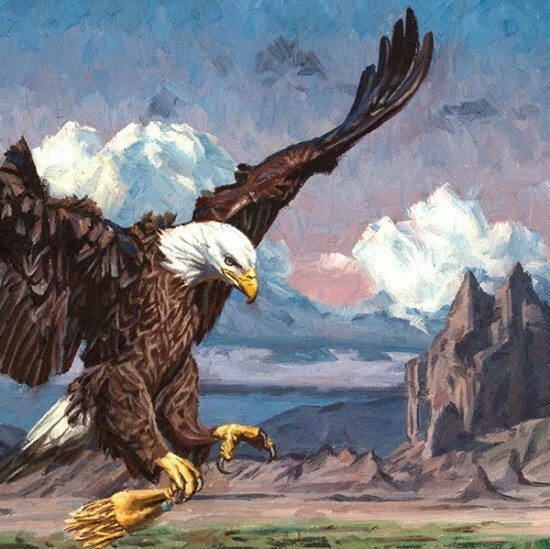 Joe eschews the abstract symbolism that characterizes much Native art, preferring instead to marry impressionism with realism. 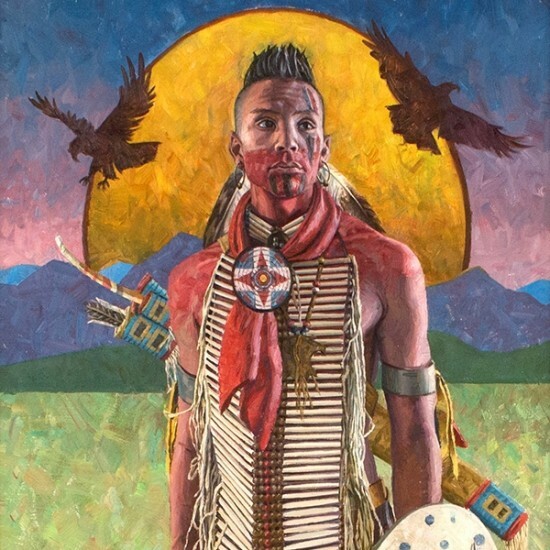 “Although I love the images from the rock art and other sources that inspire a lot of contemporary Native work, I’m personally attracted to the classical European style of figurative drawing and painting,” he says. 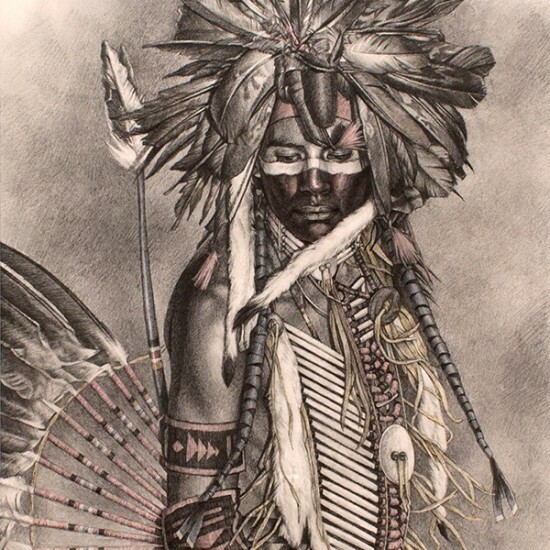 Although he works primarily in oils these days, Joe still likes to draw in pencil and charcoal as well. 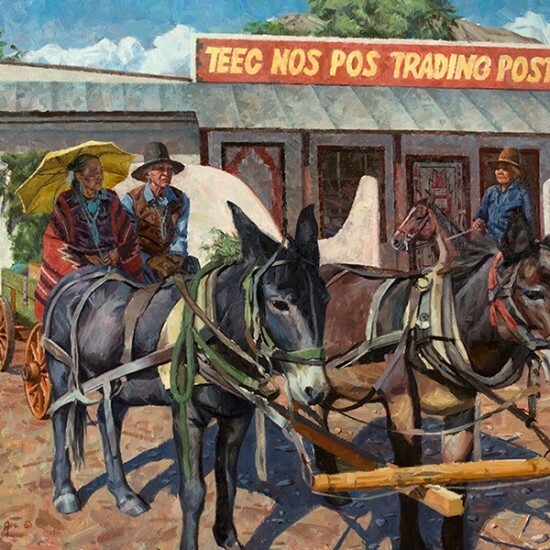 Whatever the medium, his highly detailed representations of the Navajo lifestyle offer evocative glimpses of an enduring culture. 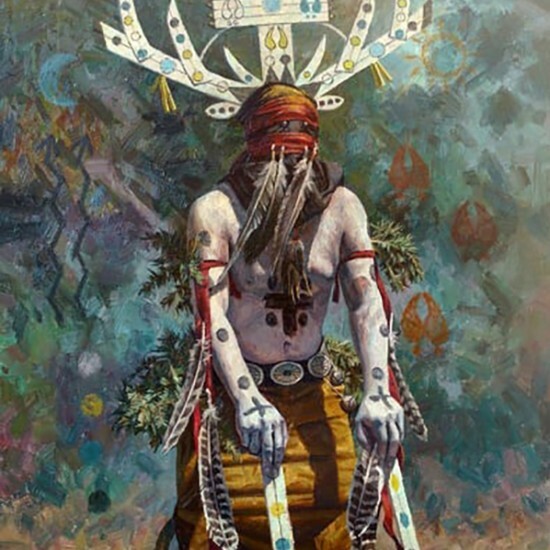 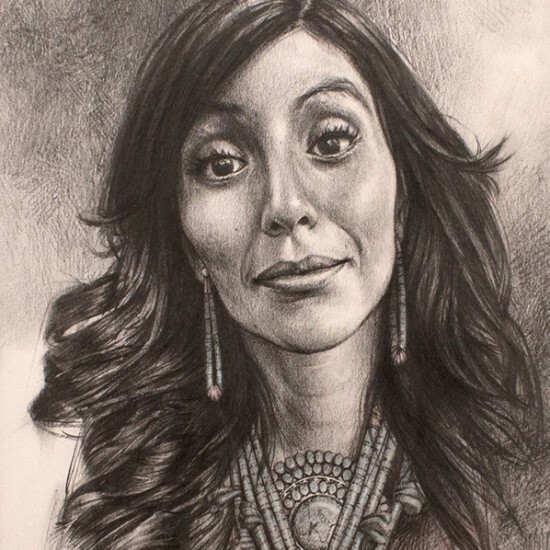 The result is a sense of intimacy that transcends cultural barriers and brings viewers of his art new insights into the Native American experience.